An interactive performance adventure that took place in the streets of Brighton, during Brighton Fringe 2012 – a series of unique theatre pieces performed in and around six Victorian-style bathing machines across the city. Throughout May, when Brighton is bloomingwith art, six bespoke Victorian-style bathing machines appeared at some of the city’s iconic landmarks. 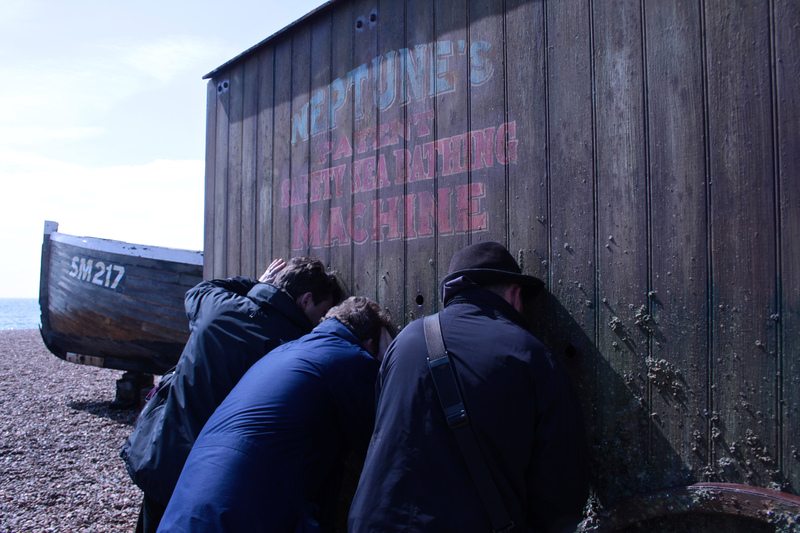 Each bathing machine was the inspiration and the venue for a series of brand new performances by South East based artists, creating unforgettable experiences with the city and its visitors. See these fascinating replicas were brought to life as beautifully customised, mobile mini-theatres, housing astonishing performances every weekend in May. Dip Your Toe has since toured to Shoreditch Festival, Milton Keynes Festival Fringe and Pink Fringe Picnic.